Mose Allison, a jazz-folk pianist and singer-songwriter who brought white rural imagery to the urban jazz scene and was highly regarded by every musician who played with him, even those who were initially wary of his Mississippi roots, died on Nov. 15. He was 89. Mose was one of a kind. While Dr. John and Leon Russell are two pianists who shared Mose's earthy naturalism, only Mose grasped the nuanced aspects of modern jazz and the music's cosmopolitan wryness. All you need to know about Mose are two songs and the order in which you hear them on his 1957 album Local Color—Parchman Farm and Crepuscular Air. With the former, you have a backwoods tale sung in Mose's signature drawl, followed by the latter, a song impossibly graceful and sophisticated. Mose had the jazz-folk spectrum covered and always made jazz and songwriting sound deceptively easy. Mose's love for syncopation also greatly helped him in the jazz world, particularly his fondness for bop pianists Al Haig and John Lewis. 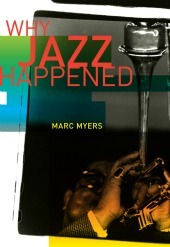 The list of jazz greats who recorded with Mose and fully admired his unusual piano style included Al Cohn, Bob Brookmeyer, Stan Getz, Zoot Sims, Nat Adderley, Phil Woods, Teddy Charles, Addison Farmer, Pepper Adams, Bill Crow, Major Holley, Henry Grimes, Osie Johnson, Jo Jones, Slam Stewart, Paul Motian, Jerome Richardson, Joe Henderson and many others. Mose's genius was in the swing of his playing and the wit and sass of his songwriting and singing. He took his time while playing, most often favoring a walking tempo. But his music was firmly in the tabernacle tradition, weaving a "got religion" tale with his keyboard notes and rhythm. By contrast, Mose's vocals could be the unabashed voice of vice, seemingly empathizing with those who strayed or ached so bad they needed a good time. 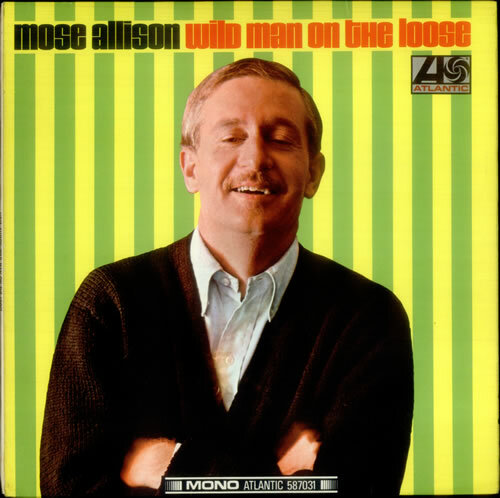 Mose Allison sings like he’s taking a bath with his clothes on. There's a lovely howling casualness about his vocal style, but what you hear is somewhat deceptive. Within that rural yowl is wisdom and depth, not only in the lyrics of the songs he chooses but also in his piano playing. Mose may initially sound like he just fell off the turnip truck, but he played and recorded with many jazz greats in the late 1950s who don't suffer fools. Before long, he was recording as a leader. There's a lot going on there. When I went to see Mose perform at New York's Jazz Standard last week, I was surprised that he knew all of his songs by number. He'd quietly say to bassist Ratzo Harris and drummer Tom Whaley "No. 4" or "No. 36." Harris had a book of lead sheets mounted on a music stand. I also was surprised by how syncopated and rhythmic Mose plays today, especially with his left hand. You close your eyes and it's as if a hard-shell crab has mounted the keyboard and is playing along with its claws. JazzWax: Your lyrics and blues are so utterly original. How many songs have you written? Mose Allison: [Laughs] About 150. JW: Where were you born? MA: On my grandfather’s farm three miles south of Tippo, Mississippi. There were just a couple of general stores there, a gas station and a cotton gin. JW: You’re probably one of the few white blues singers around today who actually picked cotton, yes? MA: My father made sure I learned the value of a dollar at a young age. JW: How does one pick cotton? MA: It's been a while, but you have an 11-foot sack. The pod is a seeded thing on a branch and it comes off pretty easy. The trick isn’t in the picking but the volume, moving fast and getting a lot in that sack. JW: Where did you learn to play boogie-woogie piano? MA: From my cousin’s records. My dad didn’t like boogie-woogie. He loved stride. He was locked into the Fats Waller thing. I liked Albert Ammons. JW: Did you take piano lessons? MA: Yes, starting at age 5. I took lessons for a few years at Miss Etta Oliver’s just across the creek. Then I started picking up things off the jukebox, learning to play by ear. So I quit taking lessons. I didn’t learn to read music that well anyway. JW: You played trumpet professionally first, didn’t you? MA: Yes. I learned trumpet in high school. JW: Where did you play your first public performance? MA: At Charleston High School in Mississippi. I played Fats Waller’s Hold Tight, as a boogie-woogie. But I didn’t win. MA: The guy who played Washington and Lee Swing on the fiddle [laughs]. JW: What did you do after high school? MA: I attended the University of Mississippi for a couple of semesters. Then I joined the Army in 1946 with two friends. I was going to be drafted anyhow. I went into the infantry. I was going to be shipped abroad, so we were sent to Seattle by troop train. My duffel bag was all packed and ready. But then Congress passed a law that said a soldier couldn’t be sent overseas if he had less than 10 weeks of basic training. I had less than that. I was discharged in 1947. JW: What did you do after you got out? MA: I went back to Ole Miss. I was studying mechanical drawing and chemical engineering. But I didn’t last long. Analytical geometry stumped me pretty good [laughs]. MA: I left Ole Miss and went on the road, playing trumpet with a couple of friends. JW: Did you make it to Memphis? MA: Yes. Before I left Ole Miss, I headed up there. I knew Bill Harvey, B.B. King’s first musical director. He got me to sit in with the band that warmed up the audience before B.B. came on stage. In Memphis, I met black players and white players. I used to go to jam sessions. JW: What did you do after leaving college in 1951? MA: I went up to New York to have a look at New York University and check out the jazz scene. NYU was so different than the schools down South. For one, there was no campus there. The college was all buildings. There was no portico, no lawns, no trees. As for jazz, no one was working at the time. So I went home. JW: Who was your biggest singing and composing inspiration at this point? MA: I had heard Charles Brown, Muddy Waters and so forth. I also loved Nat King Cole. MA: I met my wife and got married. She urged me to resume my studies, so I enrolled at Louisiana State University. I took courses in aesthetics. That’s what opened me up. I had a book called Principles of Art by R.G. Collingwood. It opened my eyes to the fact that some of the stuff that I had been listening to all my life was actually art. JW: Your trumpet was stolen in a Philadelphia nightclub? MA: Yes, an old, lacquer one. I liked it a lot. But after it was stolen, I never bothered to get a new one. My decision to concentrate on the piano instead was economic and aesthetic [laughs]. 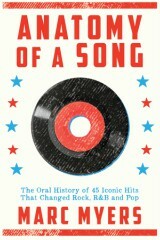 JW: By 1956, you had begun to record. MA: Yes, with Al Cohn and Bob Brookmeyer. Then I started writing the Back Country Suite. I knew how to write music. I could write single lines and things, and could make charts. Later, I arranged an album for Columbia Records called Hello There, Universe in 1969. JW: Back in 1956, how did you start working with Al Cohn? MA: That’s a funny story. I met Marilyn Moore, Al’s wife at the time, in Galveston, Texas, in 1955. I was working a gig down there with a girl singer. Al’s wife was there on vacation. She heard me and liked what she heard. She said that if I ever came to New York that I should get in touch with Al. So when I moved up with my wife and young daughter in 1956, I did. MA: I contacted Al, and he had me right out to his house in Flushing, Queens. He gave me some pointers on how to write. I was finally a New Yorker. My wife and I and our daughter moved into an apartment on 103rd St., right off Central Park. JW: In 1956, how did you meet Stan Getz? MA: I used to go to these jam sessions at night at a loft on 34th St. that belonged to trombonist Clyde Cox. Many of the guys who were there were from the South. At these sessions, I met drummer Frank Isola, who put me in touch with Stan. JW: How did you get along with Getz? MA: Just fine. No problems. I worked off and on with him. He was a great player. I made one album with him and bassist Addison Farmer and drummer Jerry Segal. It was The Soft Swing in 1957. I didn’t have to adapt to Stan’s style. He liked me just as I was. My models as far as a rhythm piano player goes were Al Haig and John Lewis. Stan had a lush intensity. We talked a lot. I liked him. He was a great player. JW: Where is Parchman Farm, which you recorded on Local Color in 1957? MA: Parchman Farm is in Parchman Miss. That’s what they used to call the Mississippi State Penitentiary. They used to take prisoners to work in the fields. When I was 10, I was in a gas station in Tippo when a team of horses and bloodhounds came thundering through, looking for an escaped prisoner. It left a deep impression on me. JW: What about Seventh Son from Creek Bank in 1958? MA: I didn’t write that song. That’s Willie Dixon's. I first heard the song on a record by Willie Maybon. I liked it so much I decided to record it. JW: What about your unusual vocal style? MA: I’m just doing it. I developed the style over the years. My inspirations were Ray Charles, Charles Brown and Percy Mayfield. I didn’t run away from where I was from. I never felt that was necessary. I just did my thing. I hoped it would impress people. Back Country Suite got real good reviews so I continued doing what I did with a trio. JW: You went to Britain in the mid-1960s? MA: Yes, I went to England after a guy who booked Sonny Boy Williamson and others blues artists invited me to go on tour there. JW: Who was the first English rocker to take on your work? MA: Georgie Fame was one of the first. I’ve known him for years. I met the Who later, after they had recorded Young Man Blues, which was a surprise to me. JW: When you heard the Who had performed and recorded it, what did you think? MA: I figured that’s great. Their version is really the command performance on my song. I like anything that anybody does with my material. I do what I want with other people's material, so I don't quibble when they interpret mine. JW: Did you like rock? MA: It was alright. I had already heard all the music on which rock was based, so it was just an extension of the blues to me. Muddy Waters said something like, “Rock is just the blues but with a backbeat.” All the rock guys used a heavy backbeat. JW: Did you like it? MA: Not really. I didn’t like the constant backbeat because it limits you as far as improvisation goes. But I appreciated rock and what they were trying to do with the blues. Recently I did a tribute to The Who’s Pete Townshend. They just rolled the piano out. There were mostly guitar players. They rolled the piano out in front of audience and I did Young Man Blues and Old Man Blues. JW: Why do you think you’re not better known? MA: Probably because I’m so many different things. They don’t know where to put me. The advertising world has to say someone is the best at something. I’ve never been the best at anything. I do a lot of things. JW: Your new album, The Way of the World, is terrific. MA: Thank you. I met guitarist-producer Joe Henry in Dusseldorf, Germany. He said at the time that he wanted to record me. I hadn't recorded in about 12 years and I didn’t figure on making any more records. MA: With the reissues and so forth, I have put out about 50 albums. None of them have sold very well according to the royalty statements I get [laughs]. I didn’t see a need to make a new one. JW: What changed your mind? MA: Joe kept at me and mailed my wife and so forth. I kept putting him off. Finally, I said to myself, Joe has a great reputation as a producer and he’s also a great musician. I eventually came to the conclusion, "Why not?" We recorded at his studio, and I like how it came out. [Pause] Never underestimate the power of relentless persuasion [laughs]. Tomorrow, my favorite Mose Allison clips. Reminder—tonight I'll be appearing at New York's Barnes & Noble on 82nd St. and Broadway at 7 p.m. with singer-songwriter Rob Hyman, Cyndi Lauper's co-writer on Time After Time. He'll be interviewing me briefly, and then I'll interview him on Cyndi's 1984 hit. After, I'll answer questions and follow with a book signing and hugs for friends, JazzWax readers, book fans and colleagues. For more information, go here. Hope to see you there!